Just looking at this bag makes you happy, doesn't it? We are absolutely in love with the colorful pom pom tassel detail paired with pink and mint. It's even more vibrant in person. 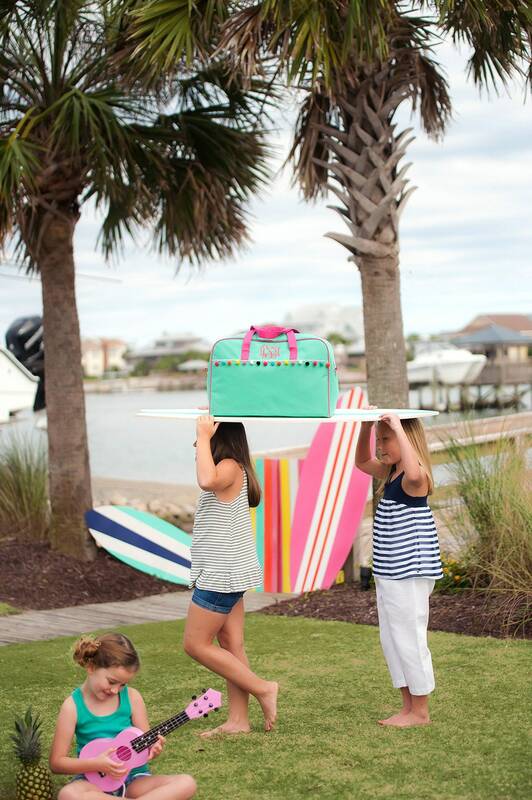 This is a great bag for sleepovers, camps, trips to grandma's house, weekend family trips, and more. The included embroidery personalization makes this bag even more special! 2. 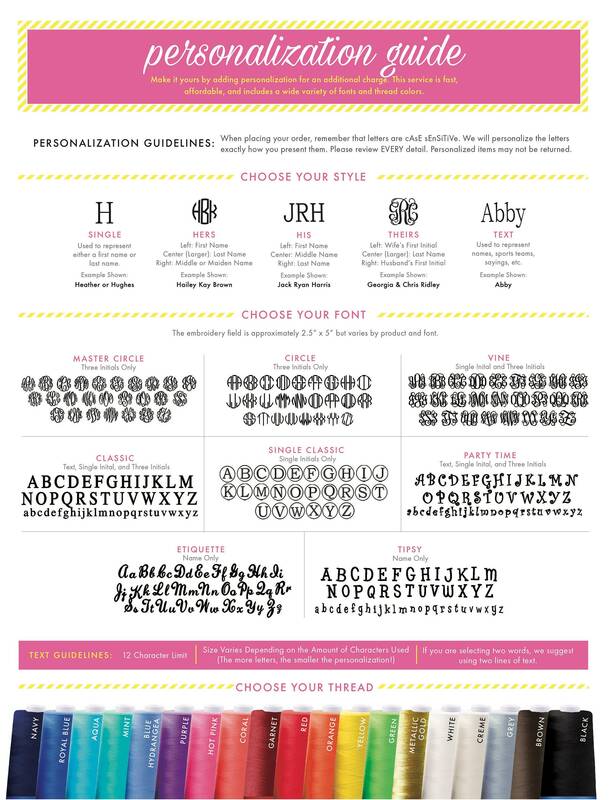 Provide your Monogram Initials or Name in the space provided or during checkout. 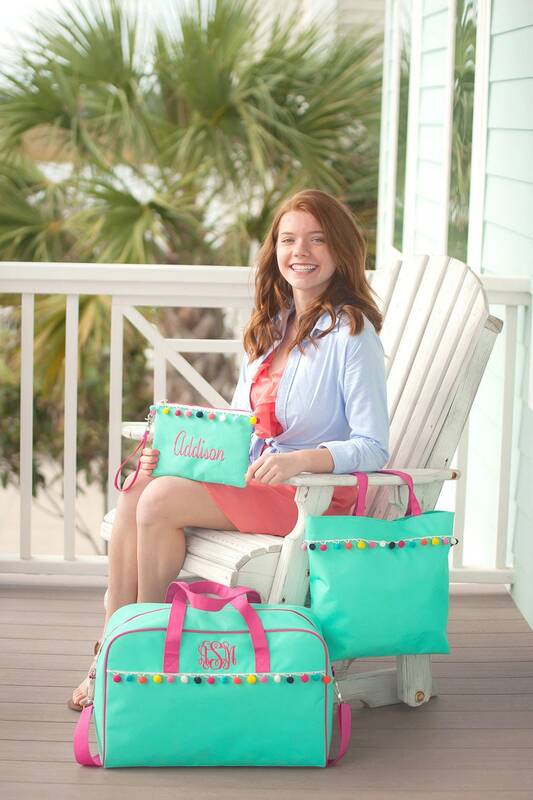 Please enter the monogram letters in the exact order you want them embroidered.